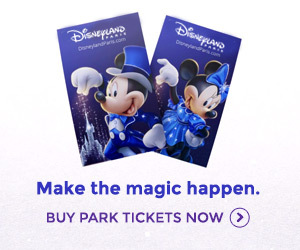 Turn over the latest Guide to the Parks leaflet, updated for the Magical Moments Festival, and there’s a surprise to be found amongst the resort’s Official Partners: Nescafé is no longer the coffee brand of choice for Disneyland Paris! The instant coffee brand owned by Nestlé has been superseded by Italian brand Segafredo Zanetti. Part of the Bologna-based Massimo Zanetti Beverage Group, which sells 120,000 tons of coffee worldwide annually, the Segafredo brand claims to be the Italian market leader and the leading espresso company worldwide. Disney has been criticised in the past for the perceived poor quality of its Nescafé coffee by fans and frequent visitors, who will now be hoping the dropping of this Nestlé brand brings a better-tasting cup to the parks. No changes to the coffee being served have been reported yet, but if your next café tastes more like a real caffè, do let us know! The sole remaining arm of Nestlé on the list of Official Partners is now Nestlé Waters, suppliers of Vittel and Perrier branded water to the parks. The Swiss corporation was originally one of the most important partners at the opening of the resort. It was largely replaced by Unilever in 2007, the British-Dutch multinational which brought popular brands such as Ben & Jerry’s and Miko ice creams to the resort. In other beverage-related news, the standard prices for drinks at counter and quick service restaurants increased slightly last month to €2.60 for soft drinks (previously €2.50), €2.20 for hot drinks (previously €2.00) and €2.75 for hot drinks with cream (previously €2.50). Meanwhile, Gibson the guitar company? What do they sponsor? Does this mean they replace all the coffee machines at the parks and hotels or just the mixture that goes in them? Have to admit, the coffee if pretty average so far and at 2.20 a cupt, its better value to go to Starbucks! The prices at the end threw me… 2.60 for a drink… 2.20 for a cuppa! Come on DLP, sort it out. Thomas — Gibson just provide audio equipment I think. Appeared on the list last year. maybe Gibson has something to do with all the guitars at the entrance of Rock & Rollercoaster.. they’re all gibsons..